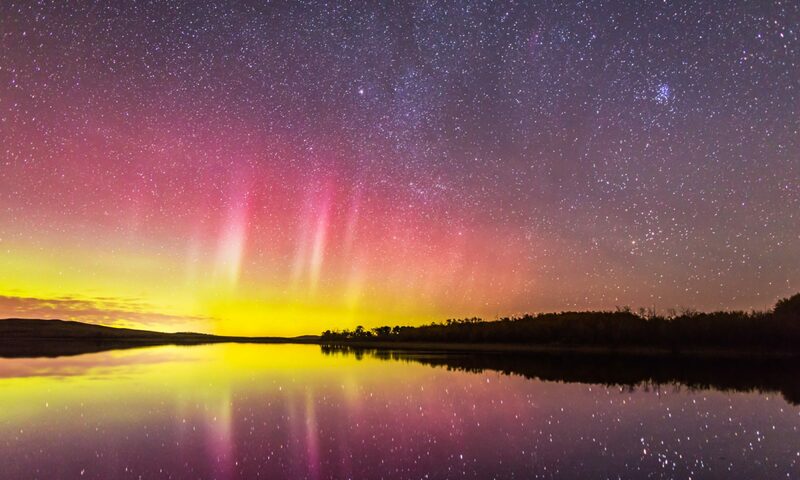 You know you are in for a good night when the aurora appears even before the sky gets dark. 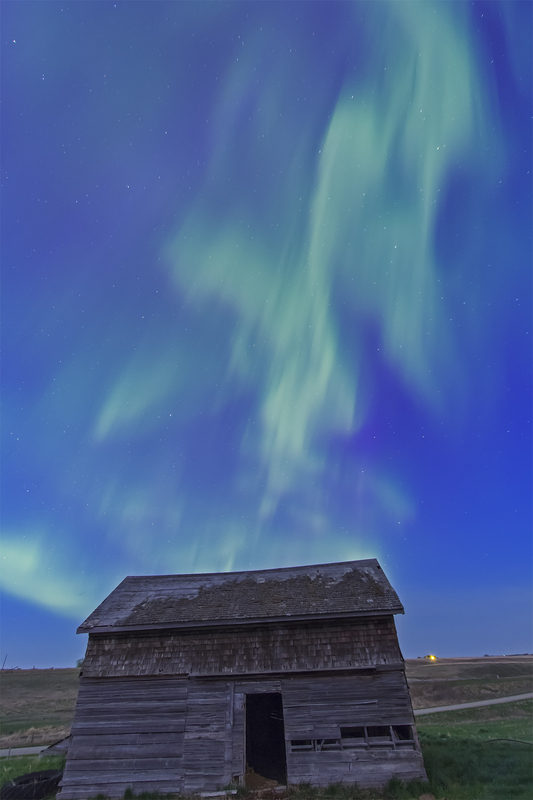 I shot this in the evening twilight, as the curtains of Northern Lights began their dance in the dusk. Light from the quarter Moon also illuminates the scene. It was a mad rush to get the camera set and aimed to begin shooting. I was also looking after another camera that was shooting a dolly-shot time-lapse of the barn. For this image I used the Canon 60Da and Canon 10-22mm lens at the widest setting. Even that was not enough to take in the whole of the display that was covering the sky.